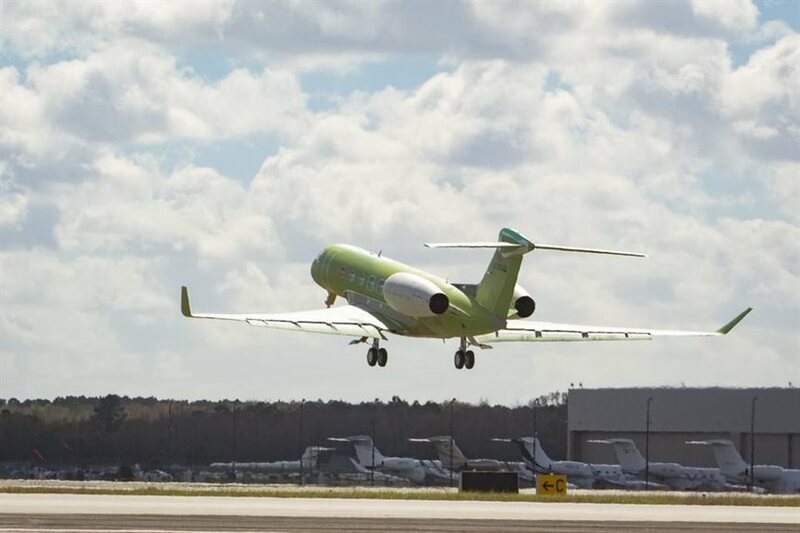 Posted by Gulfstream Aerospace Corp.
SAVANNAH, Georgia, February 24, 2017 — Gulfstream Aerospace Corp. today announced the second Gulfstream G600 completed its first flight, spending 4 hours and 26 minutes in the air and officially joining the flight test campaign. "The addition of a second flight-test aircraft just 10 weeks after the first demonstrates the rigor and discipline inherent in our development programs and continues a cadence of accomplishments that will steadily move the G600 toward certification and entry into service," said Mark Burns, president, Gulfstream. "Each milestone we clear validates the significant investments we've made in research and development, our ground-based labs and our flight-test capabilities, allowing us to deliver on the promises we've made to our customers." The first G600 flight-test aircraft flew for the first time Dec. 17, 2016, and has already achieved more than 150 flight hours, to include flying 22 consecutive sorties without a single maintenance discrepancy. That aircraft is conducting flutter testing and expanding the flight envelope; the second G600 will soon begin flight-loads testing. Additionally, Gulfstream recently completed ultimate load testing of the G600 structural test article, a key step in the certification process. Gulfstream anticipates receiving type certification for the G600 from the Federal Aviation Administration in 2018, with customer deliveries scheduled for later the same year. Gulfstream Aerospace Corporation, a wholly owned subsidiary of General Dynamics (NYSE: GD), designs, develops, manufactures, markets, services and supports the world's most technologically advanced business-jet aircraft. Gulfstream has produced more than 2,500 aircraft for customers around the world since 1958. To meet the diverse transportation needs of the future, Gulfstream offers a comprehensive fleet of aircraft, comprising the Gulfstream G280TM, the Gulfstream G550TM, the Gulfstream G500TM, the Gulfstream G600TM, the Gulfstream G650TM and the Gulfstream G650ERTM. Gulfstream also offers aircraft ownership services via Gulfstream Pre-Owned Aircraft SalesTM. We invite you to visit our website for more information and photos at www.gulfstreamnews.com.